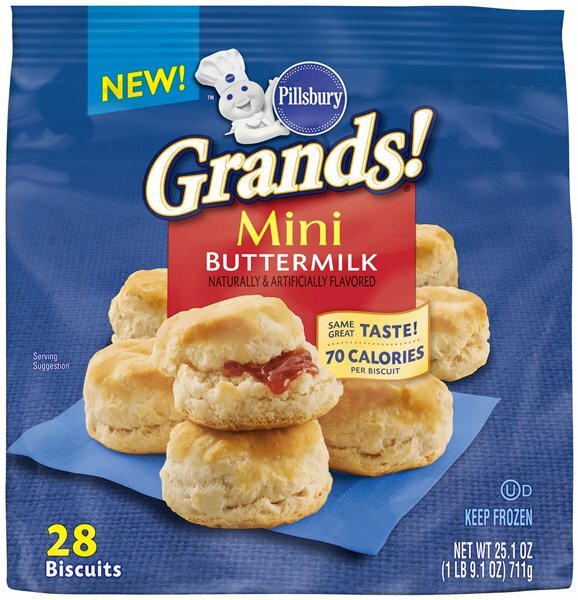 Fluffy and fresh from the oven, every bite of Pillsbury® Grands!® will remind you of that home-cooked feeling you know and love. Now available in minis, each 70-calorie biscuit is a delight when served hot from the oven, with a warm center and golden, flaky crust. The familiar hot sauce and blue cheese companions for buffalo chicken are nestled on just-baked biscuits in a smaller-sized sandwich classic. Sliders are so popular at restaurants and now you can have them at home! 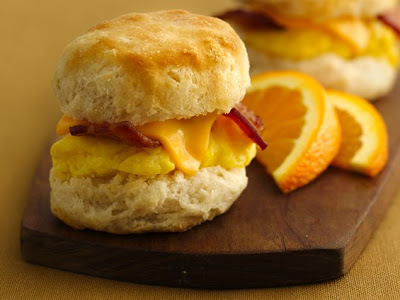 Start your day with the great taste sensation of bacon, eggs and cheese in fluffy warm biscuits. Layered berries and whipped cream with melt-in-your-mouth shortcakes? Here’s a recipe to use for serving two. 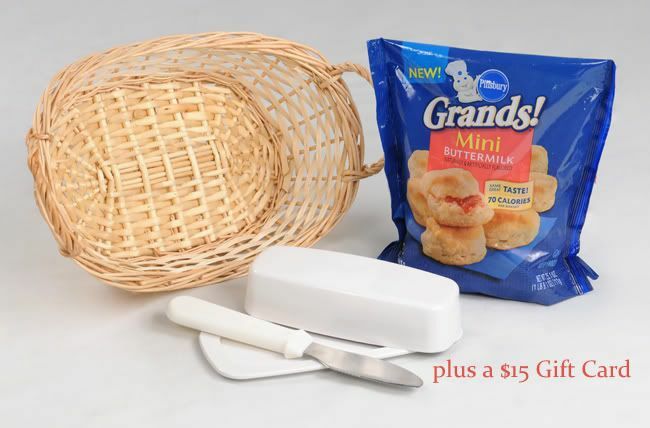 A Grands!® Mini Biscuits Prize PackThis prize pack includes a VIP coupon good for a free package of biscuits, a $15 gift card to purchase ingredients for your favorite recipe, a biscuit basket, a butter dish and spreader! to announce last weeks giveaway winners ~ Enjoy! My mouth is watering now! Those look so darn good. 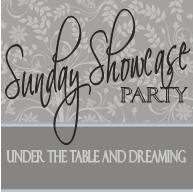 yum – what a fun giveaway! How cute are those! My kids would love em! I love Pillsbury products! a LOT. I buy the frozen biscuits a lot since I live alone. Even when I buy their canned biscuits, I freeze what I don’t eat the first time around so I don’t waste them. 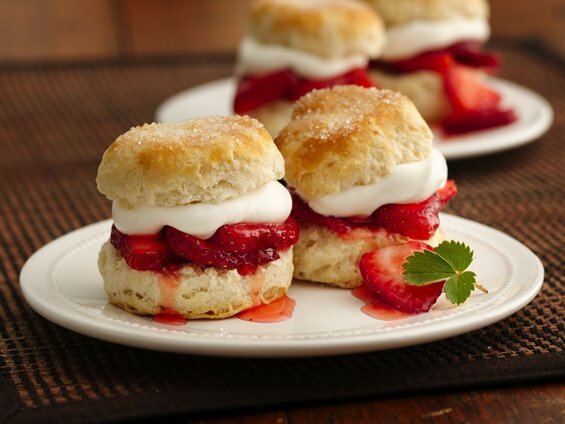 OMG the strawberry shortcakes…MUST HAVE! What a great give away! Those recipes look so good I can’t wait to try them! 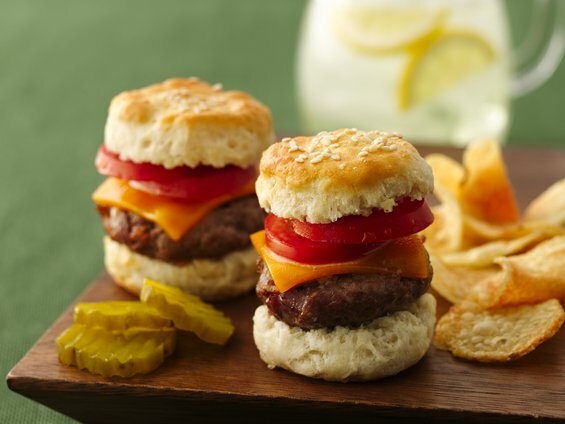 I wanna try the Barbecued Pork Biscuit Sliders! like you on FB..#3 Thanks for hosting! Love the regular ones — the little ones look awesome! I would love to make the breakfast biscuits with them!! We love biscuits. My father-in-law worked for Pillsbury for years. I’d be honored to win. I’d either choose Buffalo Chicken Biscuit Sliders OR the Strawberry buscuit shortcakes…2 GOOD choices! Grands are my very favorite biscuit…even better in mini form!! I have been to FB and liked your blog on there! I think I would try mini hamburgers or mini ham sandwiches!! Yum! What fun ideas for those little biscuits! Thanks for the giveaway, Stephanie Lynn. I’d like to give these a try. I’d like to try the mini-biscuit breakfast sandwiches and the strawberry biscuit shortcakes. If I were making my own recipe, it would definitely include avocado. And little BLTs sound yummy, too . . . I would love to win! Yumm-O! If I win I think I would make the buffalo chicken sliders! What a nice give-away, thanks for the chance! What a GREAT giveaway!!! 🙂 Thanks for the chance! I love all the Pillsbury products, sticky in the grocery shopping list. Thanks for the opportunity, I would love to win! How cute are these little guys! It would be perfect for a baby or wedding shower menu! Mmmm…lovin’ the Strawberry Shortcake recipe! Great give away! I love grands biscuits they are the best!!! We have a big brunch at my parents Christmas morning. I think these would make the cuest biscuits and gravy, that way I can have more room for other yummy things. I am a southern girl. That means I speak biscuit, as in “Give us our daily bread”. Yes, ma’am, these are right up my alley and I would love to pop these little delights into the freezer so the hubs can feed me some while my hand is in a splint! I’d love to top these with some melted butter and garlic powder, and a sprinkling of parsley flakes, and then with a little grated cheese after baking. Yummy with a nice hot bowl of home-made soup! I would try the Buffalo Chicken biscuit sliders. Ooohhh… yum! My family loves pillsbury! Great giveaway! My kids would love those sliders!! Love these! My husband can’t have yeast, so we Grands have become our new bread around here, but we’ve never tried the mini’s. I’d love to use these to make the perfect little chicken salad sandwiches for my 3-year-old. I would make the strawberry shortcake! YUM! One of my favorite desserts! Oh my girls would love these. Thanks!! I LOVE their biscuits! I can’t buy them anymore sadly as my youngest has a severe milk allergy. I would make the strawberry shortcakes- mmm yummy! I would try the breakfast sandwiches! They look great! mmmmmm. I was always a homemade biscuit baker until Pillsbury came out with frozen grands! They can’t be beat even with dear Grandma’s biscuit recipe! Totally would make the breakfast sandwhich with these, they go over big in my household!! OMG, I am starving now. LOL!! I can see them with some honey butter…yum. I love mini stuff. What is it about stuff that is “mini” that makes you want it more? I love desserts made for just two . . . I have to try those strawberry shortcakes! I love the frozen biscuits because you can prepare the amount you want. The strawberry shortcakes look delish!! Mmmm. Mini breakfast sandwiches, chicken sandwiches, just about anything sandwiches. Love Pillsbury biscuit, very versatile and easy to use. oh – la – la how many ways can you say yummy?! yummy. I’d love some biscuits and honey right now! I”d love to win this!!!! What a yummy giveaway! Thank you~! I love all of Pillsbury goodies..when I was in my 20’s I wrote to Ann Pillsbury and she actually wrote back (1960’s) Wish I still had her letters. Yummy! Count my family in!!! Thanks! I would love to try the Strawberry Shortcakes! I’d love to win this! What a nice treat for the family. My husband was just complaining last week that I don’t make biscuits. These would be great! i would love to win this! i would love to have the basket and butter holder for future uses! so delicious, now I definitely need to buy some!